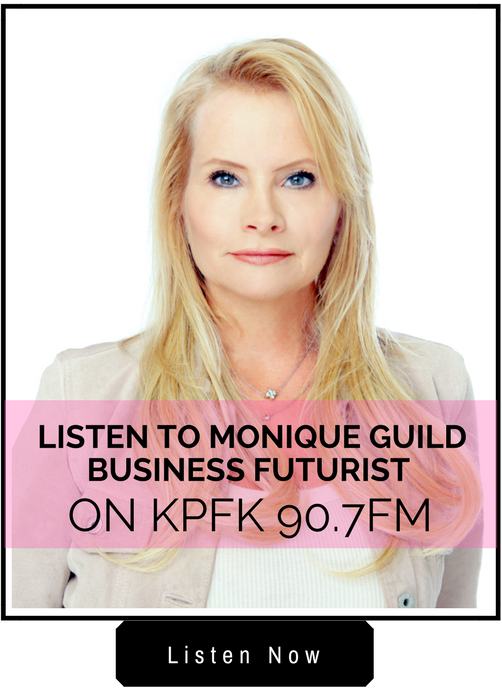 Monique Guild is a business creative and career intuitive who will change your business future. 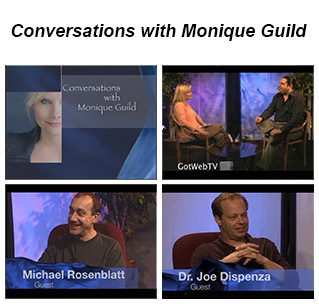 Monique is that rare individual who can unlock the mysteries to your business and career life. In her no nonsense, cut-to-the-chase style, Monique is able to ‘see’ where a business is blocked and is able to provide insights that pinpoint the blocks that prevent people from living up to their highest business potential. She teaches people and bsuinesses to set goals, work through their blocks, tune in and trust their intuition, thereby helping them prosper. renowned medical intuitive Carolyn Myss. In the way that Carolyn ‘sees’ illness in a person’s body, Monique ‘sees’ why a person’s career or business is stuck in neutral. Her teachings are based on ten years as a successful businesswoman utilizing her heightened intuition. division dealing with 130 cable affiliates nationwide. She then became National Director of Success Stories for the video dating service, Great Expectations, and placed clients on TV shows such as “Oprah Winfrey.” The Los Angeles Times ran a feature story on Monique and Great Expectations. Monique is now a full time business and career intuitive based in Los Angeles. She is currently developing a radio show and authoring a book based on her weekly workshops on intuitive goal strategies for career and financial success. For more information, or a free brochure, please call 310/589-1958.